Dr. Deshmukh is leading the spa operations as Spa Manager at Taj Exotica Goa. He has more than nine years of experience in the wellness industry, including three years as a wellness consultant. 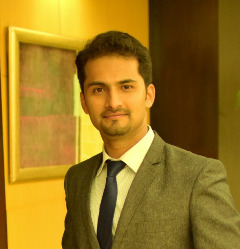 His passion is all about healing methods and techniques: he is an expert in regards to spa and massage treatments, yoga, Ayurveda and fitness. » Yoga? Okay. But Why?